The 6 March 1944 Eighth Air Force inaugural mission to Berlin put 702 bomber and 832 fighter sorties over enemy territory. 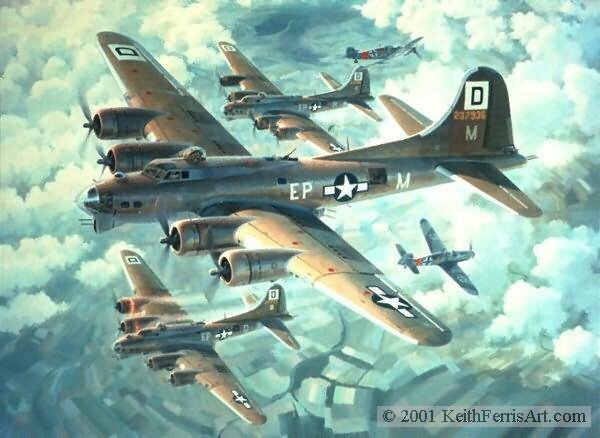 This was to be the worst day of the war for the 100th Bomb Group which had 14 B-17s destroyed. 69 U.S. bombers and 11 fighters were lost on this mission. More than one hundred German fighters made a series of devastating head-on attacks on the 100th Bomb Group enroute to Berlin.